Successfully saved Japanese Onion Soup Recipe with Mushroom to your Calendar. You can also save the ingredients to your Grocery List. 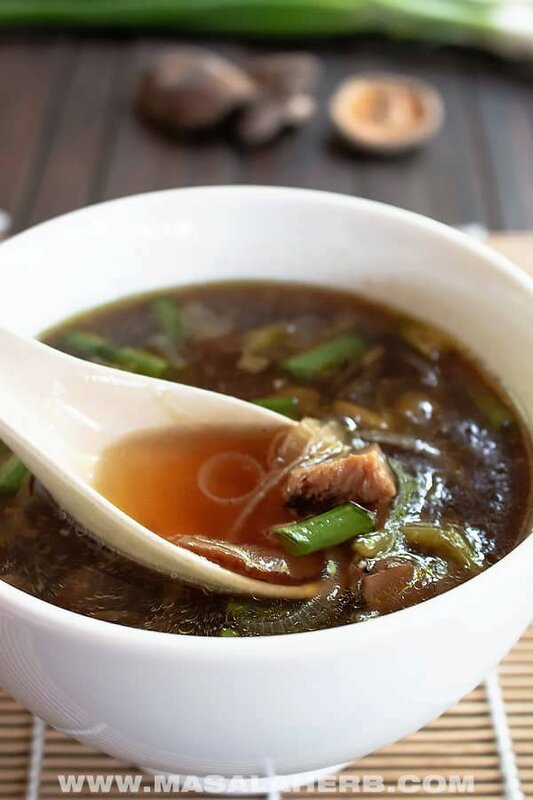 The Japanese onion soup with mushrooms is a light clear broth soup prepared from scratch with fresh ingredients. I have only used dried shiitake mushrooms in this soup, although you can use fresh ones as well. I explain the post how to rehydrate dried shiitake mushrooms if you are intending to use dried ones. Dried shiitake mushrooms give the soup a lot of flavors and besides that, they get to soak in some water, that water can be used to enhance the soup during the cooking process to add some depth to the clear Japanese soup.